An exclusive talk from leading Russian theatre director and experimentalist. After a lifetime of creating cutting-edge laboratory-based theatre, Vasiliev has left Russia and turned to film. His film «Asino», will be shown during Russian Film Week. During the evening’s discussion, Vasiliev will be in conversation with his long-term translator Natalia Isaeva, about his life in theatre, leaving Russia, and his new film, dedicated to the humble donkey. Shot in Italy, Asino teeters between reality and allegory. The chapter titles (Bacchus, Medea, etc.) and quotes from Apuleius, Pirandello and Aeschylus provide context. One part of the film documents donkey worship in Alba, Italy, where donkey races are held during the Palio. In Asino, donkeys are shown as simultaneously domesticated animals, and divine, mythological creatures. Asino is a Swiss production (2017) made in Italy using documentary material. It was selected for the official program “Signatures” at the Rotterdam International Film Festival, 2018. Anatoli Vasiliev (1942) is a noted Russian theatre director and one of Europe’s leading contemporary stage directors. He is artistic director of the Moscow Theatre "School of Dramatic Arts", but now lives and works outside Russia. Vasiliev graduated from Rostov-on-Don State University with a degree in Organic Chemistry. Already at university he began to engage in amateur theatre. In graduated in 1973 from GITIS (the State Institute of Theatre Arts) where he trained with Andrei Popov and Maria Knebel (a direct pupil of Stanislavsky). As director-Intern for the institute, he staged A Solo for a Clock with Chimes, which first brought him to the attention of Moscow theatre-goers. Subsequent productions of The First Draught of Vassa Zheleznova, in 1978, and The Grown Daughter of a Young Man, in 1979, (both staged at the Stanislavski Theatre) sealed his fame in the theatre community. Vasiliev and the group of actors that had gathered around him left the Stanislavski theatre in 1982. In 1985, Yuri Lyubimov invited Vasiliev to work at the Taganka Theatre. The result was a production of Cerceau, by Victor Slavkin, directed by Vasiliev, which was voted best performance for the 1985–1986 Moscow theatre season. In 1987, Vasiliev founded the theatre "School of Dramatic Art", bringing with him many of the actors who had worked with him at the Stanislavski Theatre. The School of Dramatic Art had at its heart the concept of a 'theatre – laboratory', creating opportunity for research and experiment. A new building for the "School of Dramatic Art" opened in 2000 in central Moscow. Among recent projects of his laboratory work are Plato’s "Republic", "Soirée Molière", "Matinée Pushkin" (2000), "Homer. Iliad" (1996-2002). "K ..." (based on Pushkin’s poems, 2000), Pushkin’s "Mozart and Salieri" (2000), "Medea-material" of Heiner Müller (2001), "Iliad. Chant XXIII" of Homer (2001), "From the Voyage of Onegin" Pushkin (2004). With the general worsening of the political situation in Russia, Vasiliev left Russia in 2006. The last show that he mounted in Moscow was "The Stone Guest, or Don Juan is Dead" (2006). In 2010 Vasiliev started a three-year course for the training of theatre pedagogues in Venice. In mid-2011 Vasiliev launched a research seminar on acting techniques at the Grotowski Institute in Wrocław, Poland. The seminar lasted two years and combined graduates of the Venice program and actors from various European countries. Since then, Vasiliev has continued teaching in Italy, Greece, Spain, Germany and he led a biennial theatre art residency at Wroclaw in the Jerzy Grotowski Centre. In 2016 Vasiliev returned to direct La Musica deuxième by Marguerite Duras at the Comédie-Française in Paris. Vasiliev was awarded the Laureate of Russian Stanislavsky Premium in 1988, the Order of the Cavalier of Art and Literature from France in 1989, the Premio Europa Nuove Realtà Teatrali of the Europe Theatre Prize in Taormina, Italy, in 1990, and the Chaos and Pirandello prizes in Agrigento, Italy, in 1992. 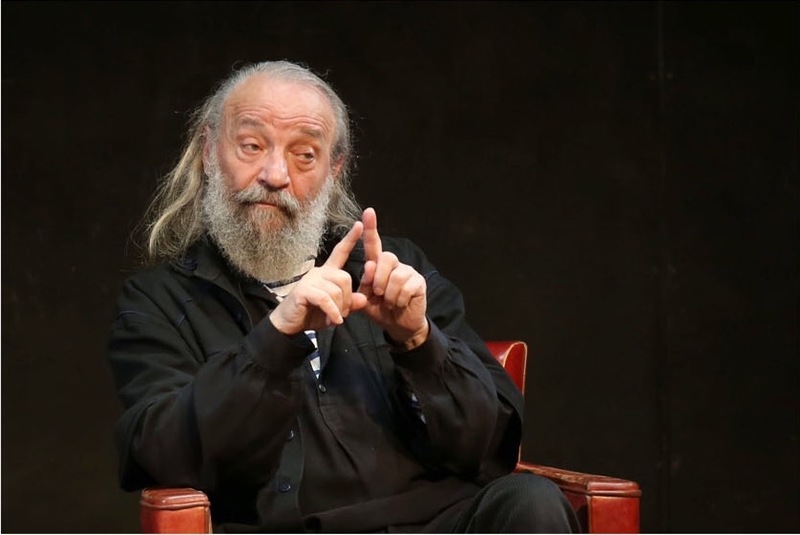 In 1993, he received the Honoured Art Worker of Russia award, followed in 1995 by the Laureate of the Premium of Stanislasky Fund award for contributions in developing theatre pedagogics. With Igor Popov, he received the 1999 State Premium of Russia award in the field of Literature and Art for the creation of Moscow theatre School of Dramatic Art, and the 2001 National Premium "Triumph" award. In December 2012 he was awarded the prestigious Italian UBU award, for his three-year Island of Pedagogy project (2010–2012) in Venice. In March 2016 Vasiliev was selected by UNESCO's International Theatre Institute (ITI) to address the world on World Theatre Day. Vasiliev’s films include: "Ancient songs." Documentary film, 1975. Based on the documentary material from the Russian north: Arkhangelsk, Mezen. "The Road to Chattanooga". 1992. A feature film based on the stage version of the play by Victor Slavkin "The Adult Daughter of a Young Man" at the Stanislavsky Theatre. "King Lear of the Steppe", 1985. A TV play based on Turgenev’s "King Lear of the Steppe." ﻿Sanskritist, indologist, historian of philosophy and religion, historian of theatre. Author of more than 18 books among them: "Shankara and Indian Philosophy", SUNY-Press, N.Y., "From Early Vedanta to Kashmir Shavism", SUNY-Press, N.Y., et al.). Former Spalding Fellow at Wolfson College (Oxford University), Senior Researcher of the Institute of Oriental Studies at the Russian Academy of Sciences. Lecturer at Moscow University and GITIS (Academy of Theatre Arts). Author of several annotated translations of Søren Kierkegaard. Isaeva left Russia in 2001 following the assassination of her husband, Sergei Isaev, artistic director of GITIS, Russia's main theatre school. For three years she worked in England and since 2004 lives in France (Lyon and Paris). Isaeva has collaborated with Vasiliev for the last seventeen years. They worked together in the Department of Theatre Directing at ENSATT in Lyon (2004-2008), where Vasiliev was the artistic director and she was the coordinator, artistic collaborator and translator. She writes on theatre and publishes Russian translations of important theatrical works (among others - books by Antonin Artaud, Umberto Eco, Marguerite Duras and Hans-Thies Lehmann ("Postdramatisches Theater"). In Russia she has written and published more than 70 articles on French theatre. She is a regular contributor to an English theatre magazine «Plays International». She has worked with Vassiliev (as an artistic collaborator and translator) on the following shows: "Therese-Philosophie" by Boyer d'Argens (L'Odéon, 2007), "Thérèse-Philosophie" by Boyer d'Argens, radio version by France-Culture 2008),"Les Journées entières dans les arbres" by Marguerite Duras (Kaposvar and Budapest, Hungary, 2009), "La Musica. La Musica deuxième" by Marguerite Duras, (Comédie-Française, Vieux Colombier, 2016), "Medea material», by Heiner Müller (Théâtre National de Strasbourg, Bouffes du Nord, Paris, 2017), "The Story of an unknown man", by Anton Chekhov (Théâtre National de Strasbourg, MC93 Bobigny, Paris, Théâtre National de Bretagne, Rennes, 2018), as well as for the program of the ENSATT at the Festival d Avgnon ("Plato/Magritte", 2008). 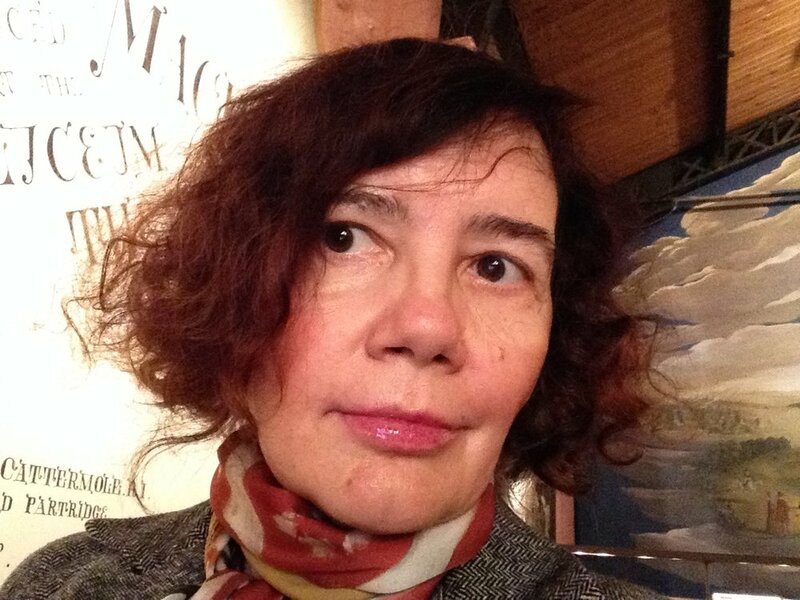 She was artistic collaborator, assistant and translator for several stages of Vassiliev at ARTA, Paris: "Verbal action in a poetic text: Baudelaire and Rimbaud", 2004; "Analysis-action: new approach to Gorky", 2007; "Poetic word - word in action", December 2008 - February 2009; "Theatre pedagogy as artistic passion", November-December 2011, "Physical actions in scenic practice", January 2016, as well as for the master-class "Psychology in action", Festival "Passages", Nancy, 2009; "How to open the text for action", Grenoble, 2013). She is a Chevalier de l’Ordre des Arts et des Lettres (2006).